Ferrero Garden is filled with crunchy tidbit almond and pistachio and whole pistachios. 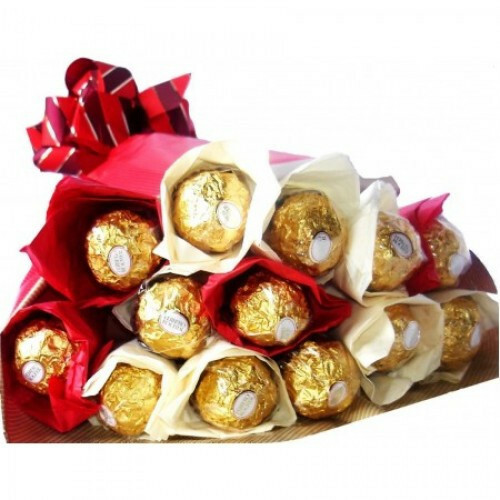 Send this Ferrero Rocher bouquet to your Loved Ones. 16 Pieces Ferrero Rocher wrapped in nice packing.Makes it a perfect gift for any occasion or festival. You can be sure that this gift will definitely bring a big smile on the recipient's face.